Welcome to TheSpaceRace.com, a website dedicated to the Mercury, Gemini, and Apollo space programs. This site is intended to be a reference for people learning about space history, whether they are students or just space enthusiasts. You will find information about the manned missions to Earth orbit and the Moon during the 1960’s and 1970’s in the Encyclopedia. In the Multimedia archives you will have access to many photographs, audio recordings, and videos. The sites content was limited to the earlier American space programs for two reasons. The first reason is that it is the era of space exploration that interests me the most. The second reason is that the Mercury, Gemini, and Apollo programs have ended while the Shuttle and Space Station are still active programs and it would be too hard for me to keep the site up to date. I hope to add information about the Soviet space programs in the future. Please feel free to Contact Us if you have any comments or questions about the site. We also welcome corrections if you find an error on any of our pages. Neil Armstrong, the first man to walk on the moon during the 1969 Apollo 11 mission, has died. He was 82. 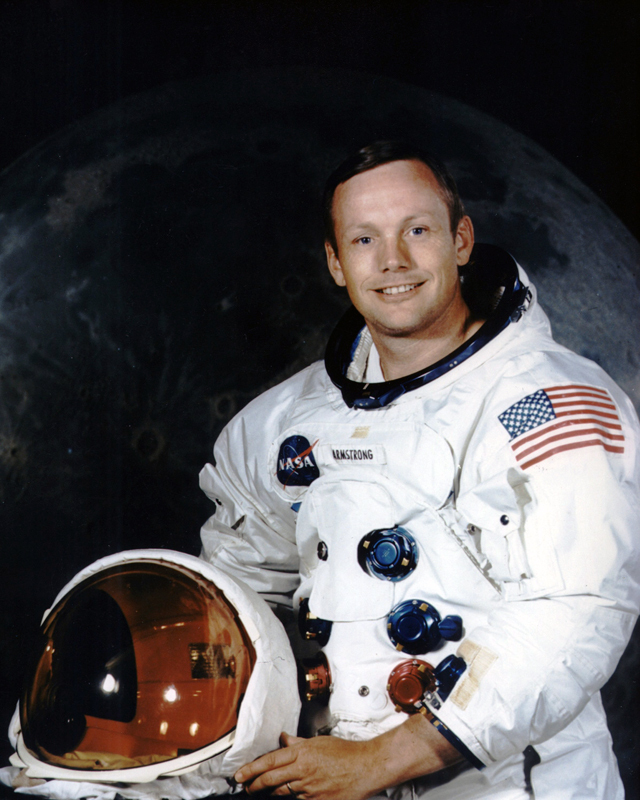 “We are heartbroken to share the news that Neil Armstrong has passed away following complications resulting from cardiovascular procedures. The family will be providing further updates at www.neilarmstronginfo.com. As you know, April 12, 2011 is the 50th anniversary of Yuri Gagarin becoming the first human in space. First Orbit is a film that recreates in real-time Gagarin’s first orbit using footage from the International Space Station. It’s a great video, check it out. Today is also the 30th anniversary of STS-1, the first flight of a Space Shuttle. Astronauts John Young and Robert Crippen flew Space Shuttle “Columbia” for two days before landing at Edward’s Air Force Base in California.